Note: This is not a review. This is our plain-English explanation and overview of the Tempur-Adapt mattress collection from Tempur-Pedic. Also see our coverage of the more expensive Tempur-ProAdapt collection, along with our overview of the 2017 Tempur-Pedic mattress lineup, many of which are still available. New for 2018, Tempur-pedic's Tempur-Adapt bed shares many of the same materials as the Tempur-Cloud Supreme, which it replaces, but at a lower price point. 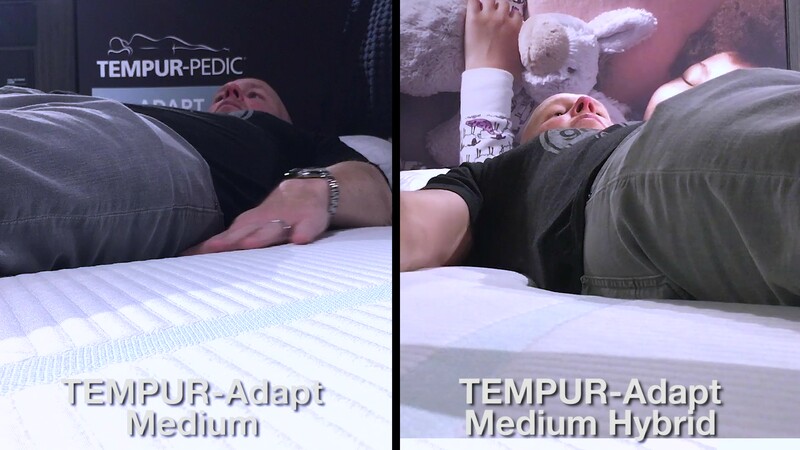 There are two mattresses in the Tempur-Adapt line, the Medium and the Medium Hybrid. The Medium is an all-foam bed, while the Medium Hybrid replaces a polyurethane foam support core with a pocketed coil unit. Tempur-Pedic, of course, is known for memory foam. 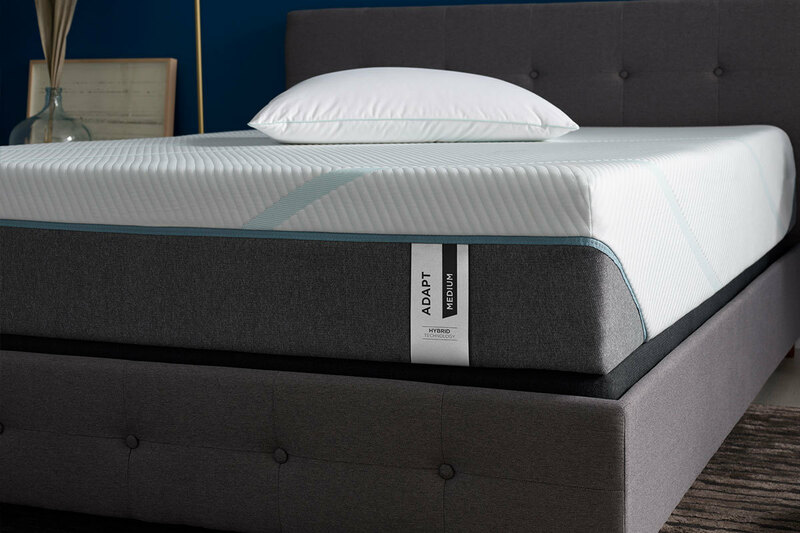 Both of the Tempur-Adapt mattresses feature a top comfort layer of the company's Tempur-ES foam which it's been using in its other mattresses. This is a soft, slow responding foam that has plenty of that memory feel. 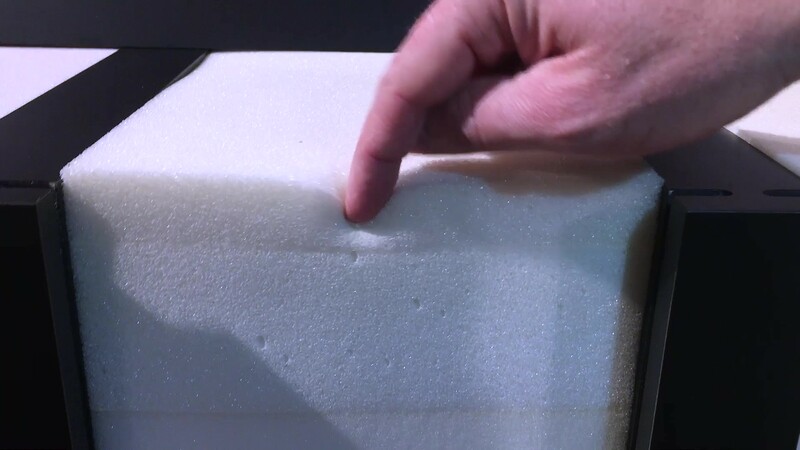 Under the Tempur-ES foam, the Medium version of the Tempur-Adapt has a layer of transition foam, plus a thick block of standard polyurethane support foam. For the Medium Hybrid version, the support foam is replaced with a pocketed coil unit. Both of the Tempur-Adapt mattresses are 11" tall. Both the Medium and the Medium Hybrid Tempur-Adapt mattresses, in our view, are firmer mattresses. On our scale, we would call both a Medium Firm, with the hybrid version just slightly softer. If you prefer a firm mattress, but do like a softer top, the Tempur-Adapt might be worth a look. The big difference between the two models is in bounce. The all-foam Medium version has very little of it, while the hybrid version has some healthy bounce, owning to the coil unit below. Prices for the Medium and Medium Hybrid versions of the Tempur-Adapt mattresses are the same.